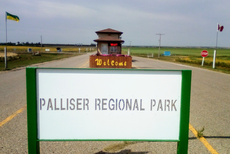 Palliser Regional Park is nestled on the shores of Lake Diefenbaker in the South Saskatchewan River Valley near Riverhurst, Saskatchewan, Canada. 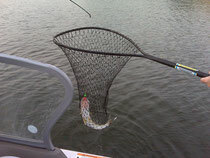 It is a beautiful natural park with great beaches, fishing, boating, golfing and some of the best sunsets in the province. The challenging nine hole links-style Sage View Golf Course with grass greens, a pro shop and a licensed club house and tournament room. 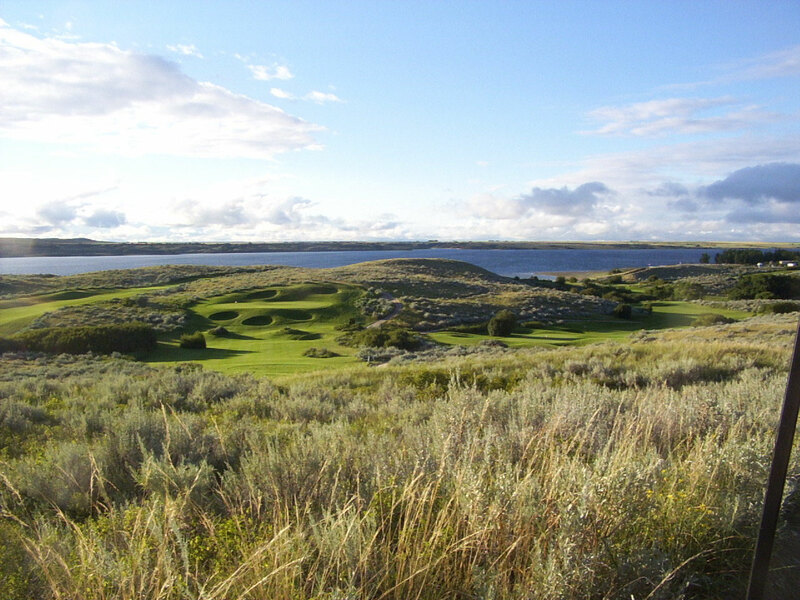 Offering spectacular views of the lake and surrounding area, the fairways present elevation changes that will surely surprise those who recall the old joke that Saskatchewan is flat enough that you can spend three days watching your dog run away! The signature 7th hole has an 80 foot elevation change from tee to green, presenting a magnificent 360 degree view of the area. 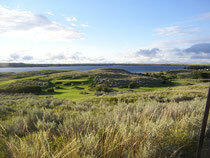 This course is well worth the trip to see and to play. various accommodations including seasonal and reserve camping as well as the first class Mainstay Inn, which offers rooms and kitchenette cabins for rent. Not only that, the Mainstay Inn's restaurant offers sumptuous dining including a Sunday brunch and excellent pizza! A newly-renovated modern shower facility complete with a coin-op laundromat to enhance your stay. All these amenities combine to make this the region's fisherman-friendly destination.